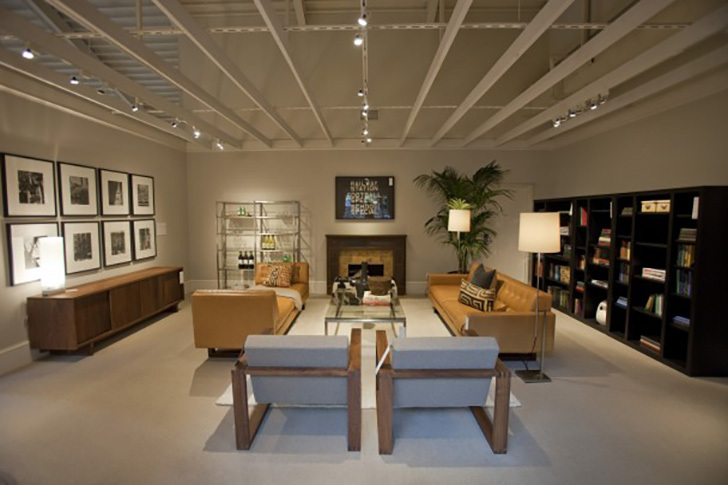 Back in 2011, we set out to explore LED lighting options for our store locations. With our long-standing commitment to sustainability, we knew LEDs were the future in terms of lowering our energy consumption. But the quality of light was a challenge. LEDs had a reputation for shining cold, white light. More like an interrogation room than a cozy living room–not exactly the feeling we wanted to evoke. We were determined to find a solution that would show our furniture in a favorable and eco-friendly light. 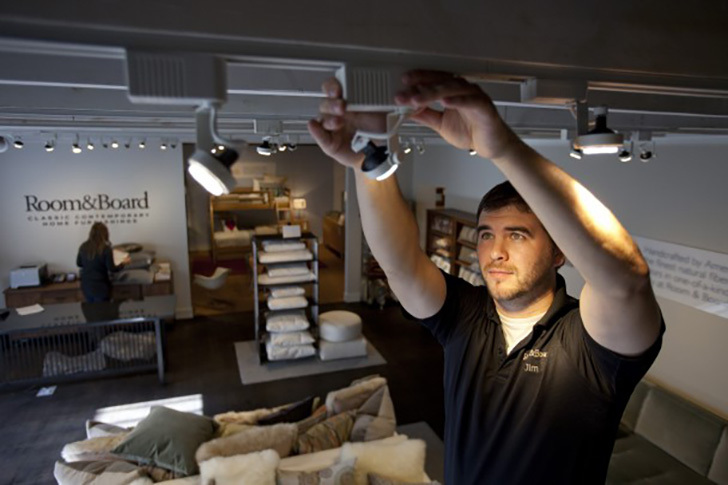 We decided to start small and test several replacement LED light bulbs at our Edina, Minnesota store. 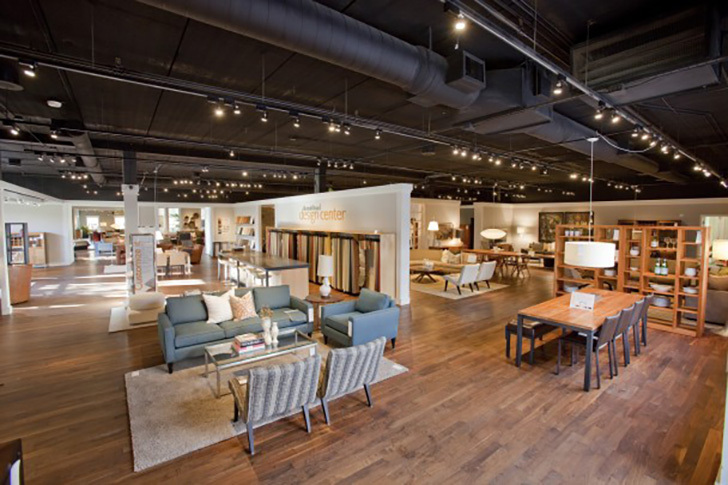 “Every LED bulb we tried had to meet our standards in three categories: energy consumption, cost savings and light quality,” recalls Vance Oliver, Room & Board’s Retail Facilities Manager. Thankfully, we found a winner in the Philips EnduraLED MR16 bulb, and we’ve never looked back. We love the beautiful, warm light these LEDs produce. Boy, was he right about that. Edina’s LED bulbs paid for themselves in energy savings within 18 months, and we now save about $27,000 annually at this location. As we’ve converted our other stores to LEDs, we’ve seen similar–or even better–results. As great as the financial reward is, the environmental payoff is even better. In Edina alone, we’ve reduced our carbon emissions by 480,000 pounds annually, which is about the same as saving 20,000 trees over 10 years. That’s a footprint we can feel good about. You can read more about our commitment to sustainability here.